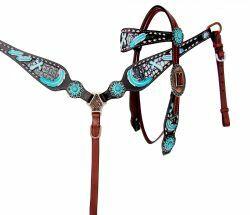 Showman ® Hand Painted Feather browband headstall and breast collar set. 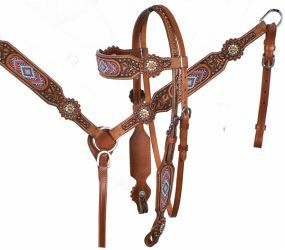 Showman ® Basketweave tooled headstall and breastcollar with tribal design. 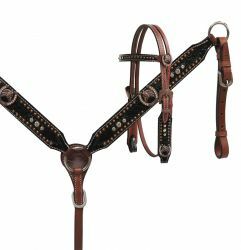 Showman ® Browband headstall and breast collar set with beaded inlays. 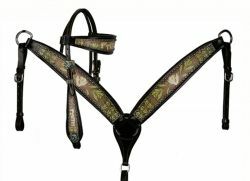 Showman ® Lime Green and Brown "Faith" abstract print headstall and breast collar. 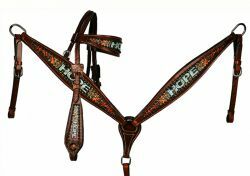 Showman ® Turquoise "Hope" and orange script print headstall and breast collar. 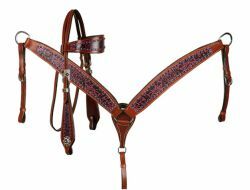 Showman ® Purple abstract print headstall and breast collar. 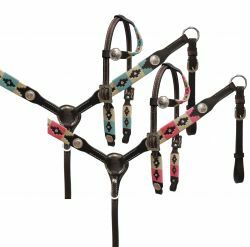 Showman ® Multi Color Navajo print headstall and breast collar set. 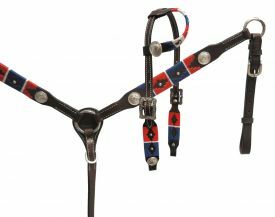 Showman® Headstall and breast collar set with painted feather and cross design. 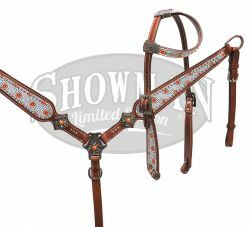 Showman® Copper patina alligator print headstall and breast collar with tooled flower design. 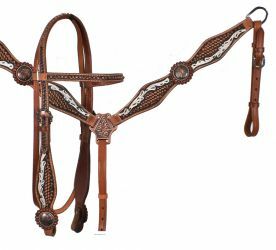 Showman ® Pony Size Headstall and breast collar set with black gator print overlay and horse head conchos. 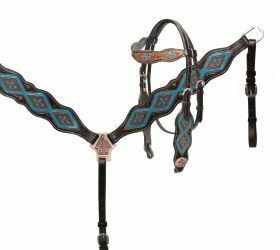 Showman ® Painted diamond design headstall and breast collar set. Showman® Blue angel wing headstall and breast collar set. 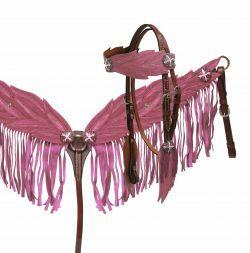 Showman® Light pink angel wing headstall and breast collar set. 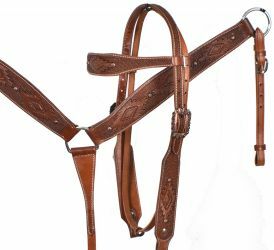 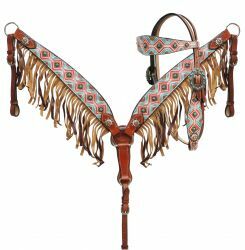 Showman ® " Kick the Dust Up" headstall and breast collar set. 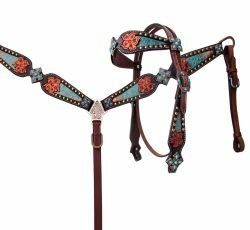 Showman ® Painted teal cross headstall and breast collar set. 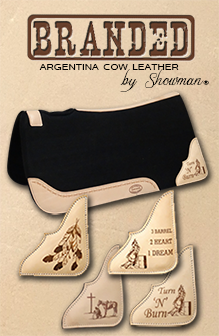 Showman ® Horse size wrap embroidered headstall and breast collar set. 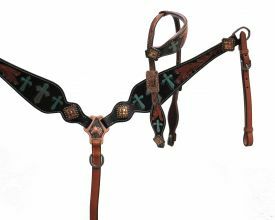 Showman ® Beaded cross inlay headstall and breast collar set. 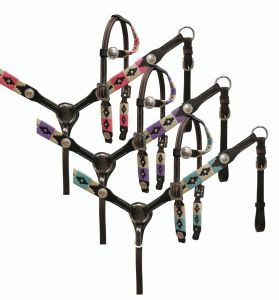 Showman ® PONY wrap embroidered headstall and breast collar set. 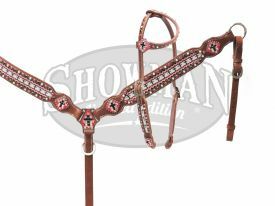 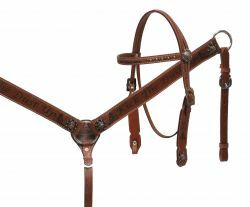 Showman ® Painted cross headstall and breast collar set. 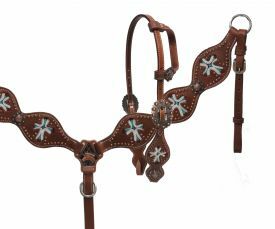 Showman® LIMITED EDITION Beaded headstall and breast collar set. 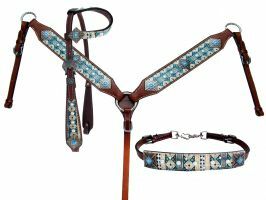 Showman® LIMITED EDITION Navajo design headstall and breast collar set. 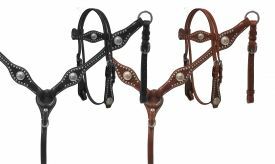 Showman ® PONY headstall and breast collar set with silver conchos and basket weave tooling. 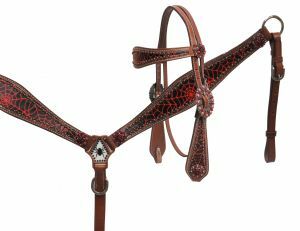 Showman ® Red spider web headstall and breast collar set. 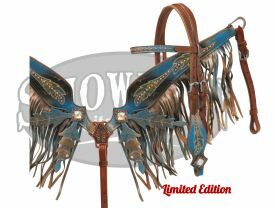 Showman® LIMITED EDITION Black and blue painted headstall and breast collar set with feather design.